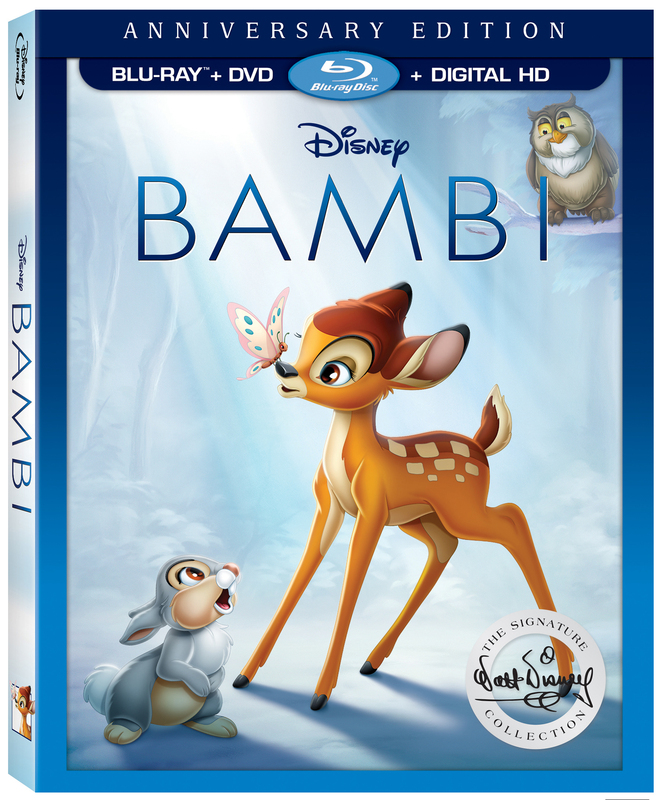 “Bambi,” which celebrates its 75th anniversary this year, joins the Collection on Digital HD on May 23, and on Blu-ray™, DVD and On-Demand on June 6. The Collection release includes a variety of new bonus material, including recordings of Walt Disney discussing the challenges and triumphs during the production of “Bambi;” deleted scenes and characters; stories and effects that “Bambi” had on the Studio, other films and artists; and much, much more. Additionally, the Digital HD release includes an exclusive, heartfelt feature on the incredible artist, Tyrus Wong, who inspired the film’s soft watercolor backgrounds and beautiful palette. This contest has now closed – Congratulations Kelly Woods & Jan Ian who went home with a copy!